Make your little one's bath time a breeze by wrapping her up for drying in our luxury cotton towelling robe with gingham trim. The soft material ensures maximum cosiness and super absorbency, whilst the pink patterned trim gives it a classically feminine touch. 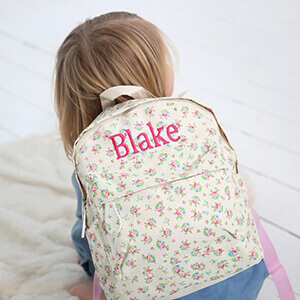 Don't forget to complete the gift with our complimentary personalisation service - just enter up to 12 characters and we'll embroider them for free. Prince George wore his blue version to meet President Obama at Kensington Palace - is it fit for your little royal?